The family of a toddler who struggles to walk after suffering from brain complications when he was born 13 weeks premature are looking to raise £80,000 to allow him to have life-changing treatment in America. Two-year-old Henry Cox was born more than three months early and suffered from Periventricular Leukomalacia (PVL) as a result. PVL is damage and softening of the white matter within the brain near the cerebral ventricles and is linked to major neurodevelopmental impairments. Henry’s mother, Katie Cox, said: “No one could tell us what the future might hold, and put simply, you are told to hope for the best but prepare for the worst. “Henry didn’t develop physically like his peers and was significantly delayed on his gross motor skills. Following multiple appointments and assessments we were finally provided a diagnosis in October 2017. The family, who live in Beckenham, are hoping to raise £80,000 for the specialist Selective Dorsal Rhizotomy (SDR) treatment in America. Despite being an invasive procedure, it has an extremely high success rate and in the vast majority of cases significantly improves patient’s quality of life. The procedure aims to reduce spasticity (tight and stiff muscle tone) in the lower limbs, improve mobility and increase independence. 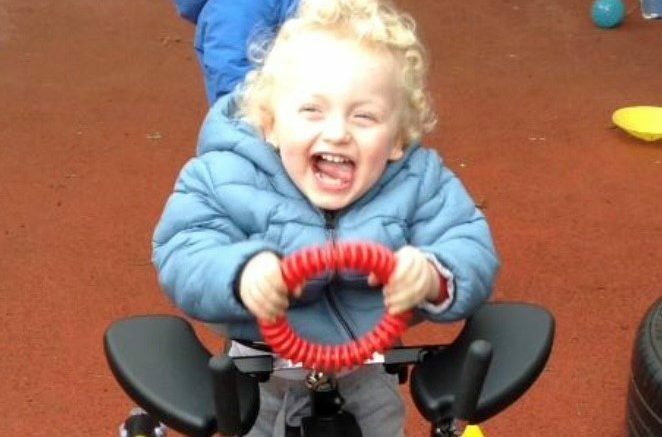 The family hope the procedure will allow Henry to walk independently. At the time of writing, more than £4,000 has been raised for the Henry’s Wish to Walk fund. The family will also be running a number of fundraising events throughout the year to help raise the money needed. If anyone would like to support the fundraising campaign or if local businesses would be willing to host a fundraising tin please get in touch with Katie by emailing katiejanegrimes@icloud.com. You can also follow Henry’s journey on Facebook (@Henry’sWishtoWalk) or via Instagram (Henrys_cpjourney). You can also donate via text by sending RHIZ66 £5 to 70070. Be the first to comment on "Family appeal for life-changing treatment for toddler"